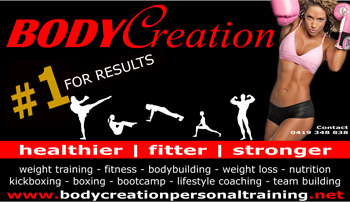 BODY Creation is Melbourne’s leader in Fitness. 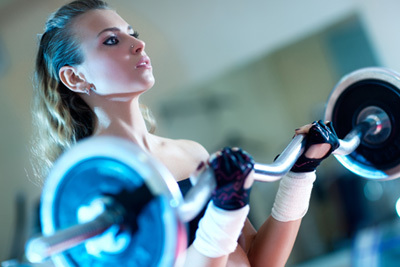 Our highly qualified and experienced trainers are now available at Stryve Gym Thomastown and can offer you the widest range of services and training options to get you on the right path to achieving your goals. Steve has been involved in the fitness industry for over 30 years and has worked and trained with some of Australia’s most respected names. 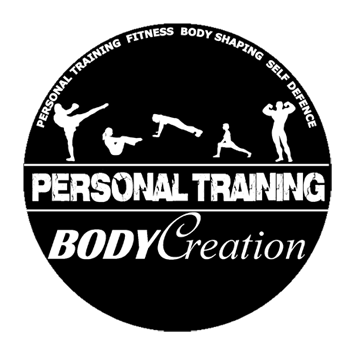 Steve offers a range of options to suit all your fitness needs with courses and programs tailored to your requirements including individual PT, Group, Corporate, Specialist and Self Defence and Nutrition Planning & Advice. All programs - P.O.A. Steve has been involved in the fitness and martial arts industries for over 30 years and is passionate about health and fitness. He believes in sharing his experience to enable everyone to have the knowledge and skills to create a new, can-do attitude and make better choices for their future. His dedication to his clients is based on trust and honesty and a genuine commitment and desire to see their goals achieved and offers support and motivation beyond the class or session that ensures the very best service and results.